Enter the absurd world of Flop Fu. We dare you to try to master the controls which we spent months fine-tuning to mimic real world physics! You will laugh, cry, and want to throw your device out of a window (but please don’t—those things are expensive)! 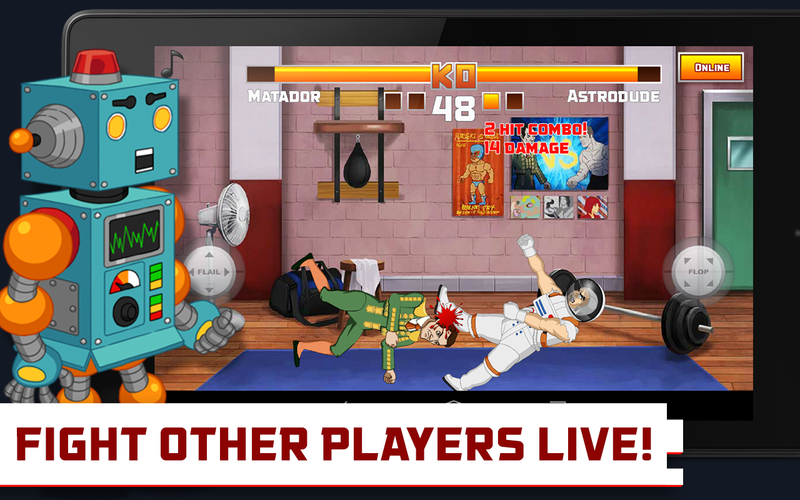 Fun, hilarious and totally out of the ordinary, Flop Fu is a ragdoll fighter with both single-player and real-time multiplayer modes. Flop and flail your way to the top of the global leaderboards and dominate the ranks of the Flop Fu universe with over 15 different hilarious characters to choose from. Let the body parts fly with endless ragdoll fighter fun! 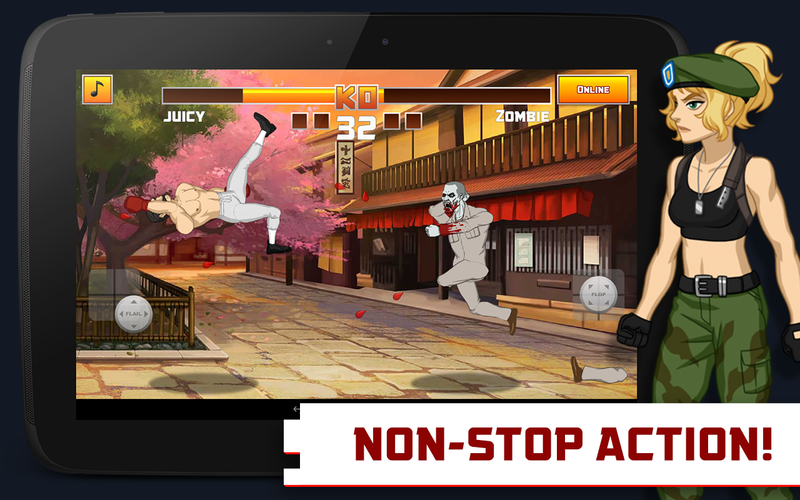 – Endless 2D ragdoll fighter fun! – Hilarious realtime multiplayer battles! 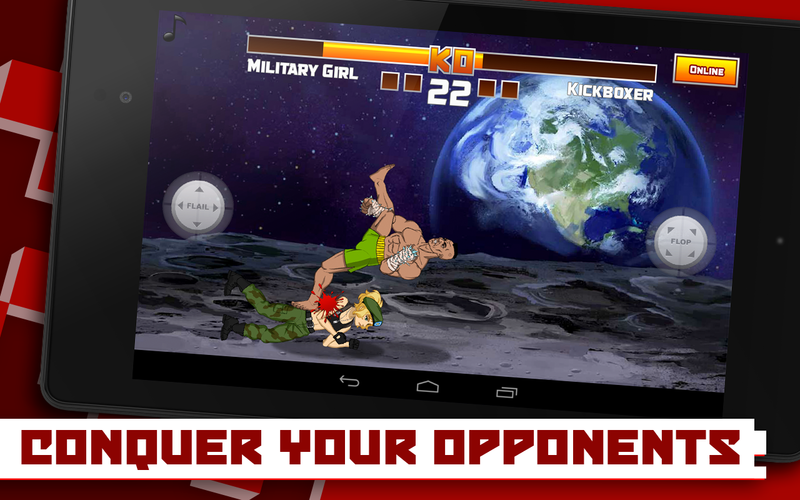 – Flail and flop your way to the top of global leaderboards to back up your trash talking! – Choose your fighter: 16 hilarious characters, including hipsters, ninjas, astronauts, zombies, and anthropomorphic punching bags! – Ragdoll-inspired controls and realistic physics make for endless clumsy fun! – Flop Fu is simple to pickup, but difficult to master!